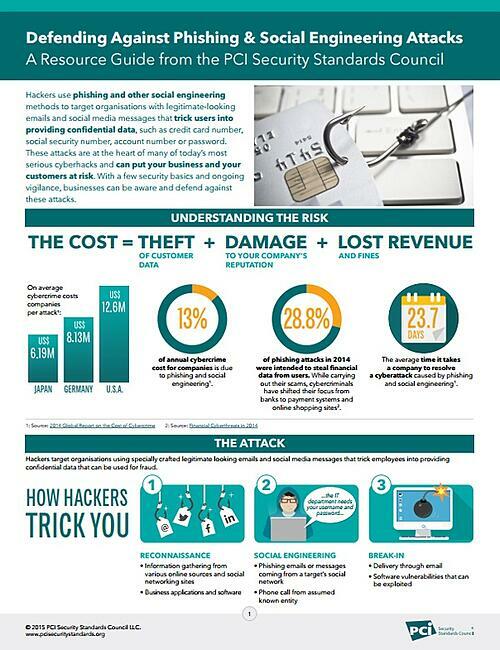 Hackers use phishing and other social engineering methods to target organizations with legitimate-looking emails and social media messages that trick users into providing confidential data, such as credit card number, social security number, account number or password. 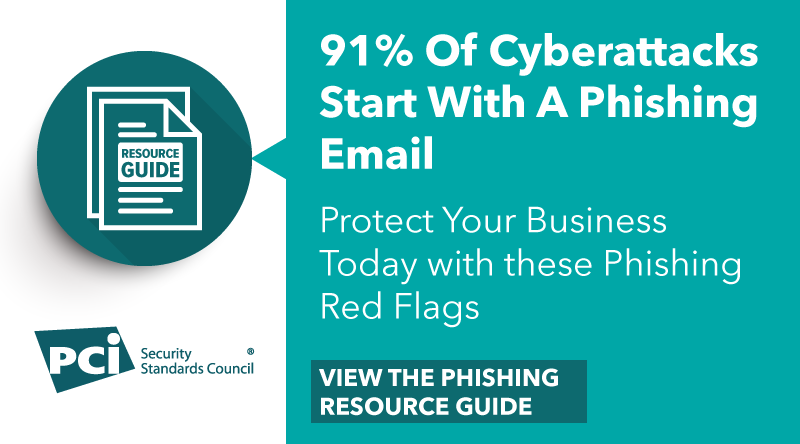 These attacks are at the heart of many of today’s most serious cyber hacks and can put your business and your customers at risk. Read this resource for the PCI Security Standards Council to learn a few security basics to defend against these attacks.